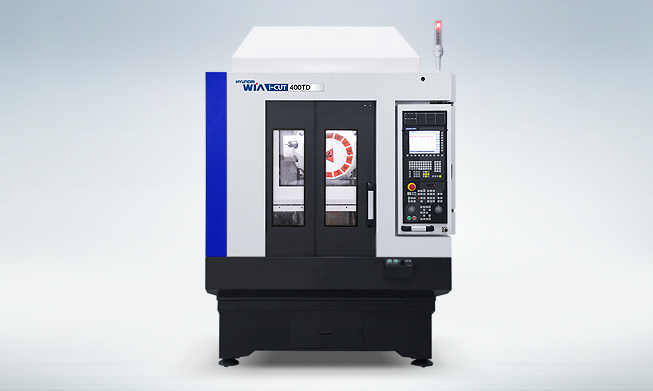 The Tapping Center i-CUT400TD, designed by Hyundai WIA with years of expertise and the latest technology, maximizes productivity while maintaining rigidity and accuracy. Optimal Structural Analysis i-CUT400TD is designed to have optimal structure through Hyundai WIA’s uniqueb structural analysis. In order to utilize the dual table, column moving structure is adopted. Also, extended column width and symmetrical heat behavior column structure allows accurate processing and minimized thermal displacement. 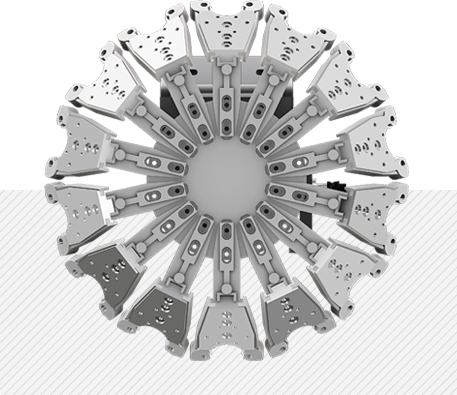 The spindle is designed with angular contact ball bearings to increase rigidity and to prevent thermal displacement. 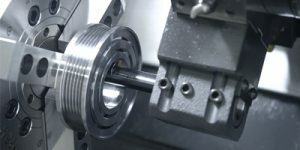 Due to the maximum spindle speed of 15,000rpm(Opt. 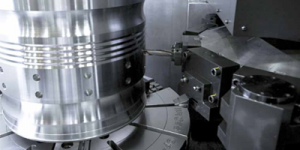 ), various types of machining are possible. 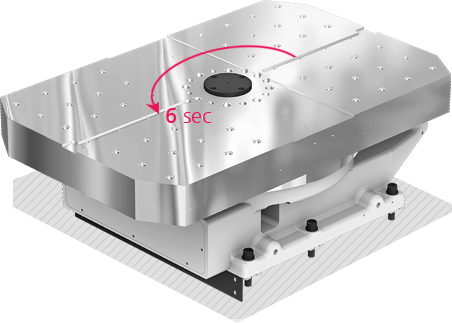 While in reverse rotation, Double Speed Return function reduces processing time. 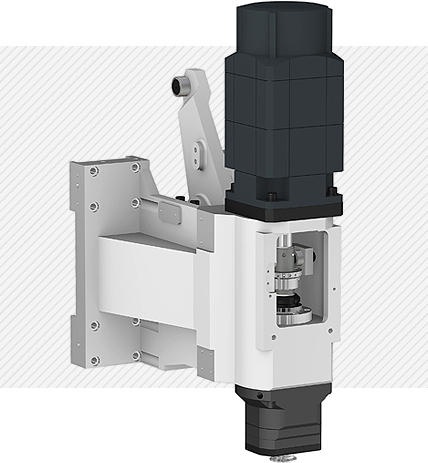 If you apply an one piece high column with an optional, you cand extend the height of the z axis up to 200 mm (7.9″). 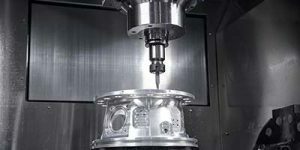 Rigid Tapping Rigid tapping, which is provided as standard, maximizes productivity by rapid and accurate tap machining. Also, the machining accuracy is superb, and lifespan of tap tools is increased. Through Spindle Coolant OPTION Through Spindle Coolant is exceedingly useful when drilling deep holes. It helps increase the lifetime of the tool, while decreasing cycle time. The 14 tool turret type magazine is provided as standard and 21 tool turret type magazine is provided as an option. 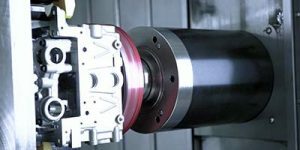 Due to the decrease of tool change time, non-cutting time is minimized. 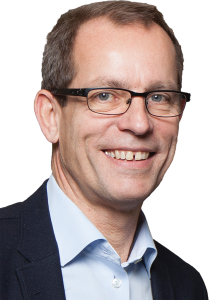 (1.06 sec for Tool to Tool and 1.74 sec for Chip to Chip). 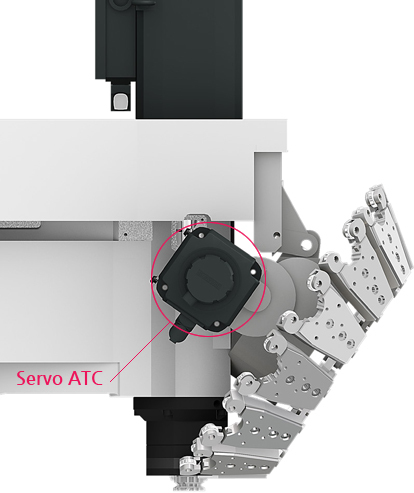 Servo motor is applied on the ATC to reduce tool change time. 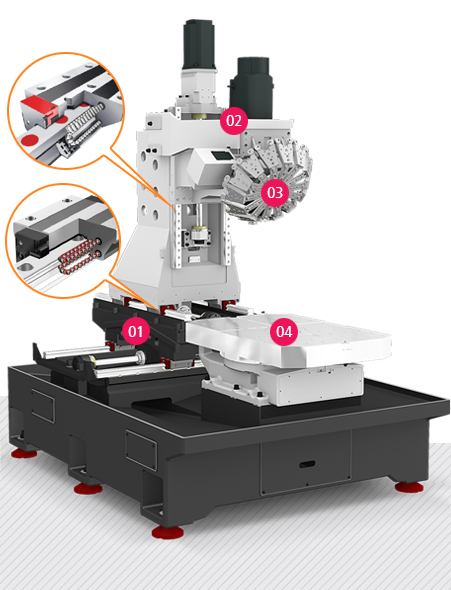 Also, accurate tool positioning control increases cutting stability.